The Pacific Sailfish (Istiophorus platypterus) named “Dash” (Tag ID: GFR3008) was originally tagged & released by angler Dan Hess on February 19th, 2016. Dan was fishing with Captain Jody Whitworth (GFTR Board Member) aboard the boat III Amigos, out of the Official Research Center Los Sueños Resort and Marina (http://www.lossuenos.com/), located in Playa Herradura, Costa Rica. The Sailfish was estimated to be 65 inches (165.1 cm) total length and had an estimated weight of 50 pounds at the time of release. The Sailfish was recaptured 27 day later on March 16th, 2016 by the commercial longline vessel El Viejillo, with Captain Roberto Zapata out of Quepos, Costa Rica. During that 27 day time period, the Sailfish most likely stayed just offshore in the productive waters, where conditions are ideal for feeding. The recapture was near an area of seamounts approximately 110 miles offshore. At the time of recapture, the Sailfish had an estimated length of 66 inches and weight of 60 pounds. Pacific Sailfish are characterized by an enlarged dorsal fin which forms a “sail”. The body has a dark blue dorsal side and silvery white bottom side, with approximately 20 bars of light blue spots running vertically along the body. Pacific Sailfish generally inhabit the surface oceanic waters offshore with frequent movement into nearshore waters. They are often considered less oceanic compared to other fish species. This tag recovery is a great example of the collaborative work of fishers from all sectors. The Sailfish was tagged by recreational anglers aboard a charter boat from the GFTR Official Research Center, Los Sueños Resort and Marina, located in Herradura, Costa Rica. The Sailfish was then recovered by a commercial fisherman and reported to another GFTR Official Research Center, Marina Pez Vela located in Quepos, Costa Rica. The III Amigos charter boat crew will receive some Gray FishTag gear for their tagging efforts. Captain Roberto Zapata will receive a pair of Costa Del Mar sunglasses, a Tag & Recovery Certificate, and Gray FishTag gear for reporting the tag recovery. 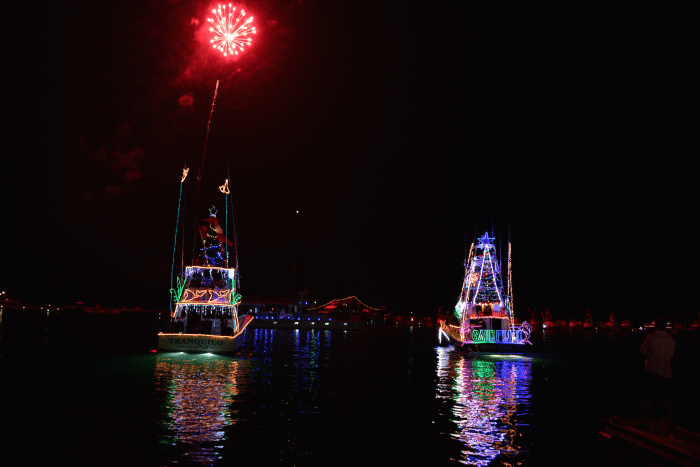 QUEPOS, Costa Rica (April 18, 2016)— Sixty-six teams with anglers from 29 countries enjoyed an evening of food, fun and live fire dancers at the Parador Resort and Spa in Quepos, Costa Rica, to officially kick off the 2016 Offshore World Championship. Participating teams hope to return to the record-setting catch totals of the last few years as they vie for the title of Offshore World Champions. After a good night’s rest, the teams hit the docks at 5 a.m. CST to report to their assigned boats for the day. The traditional opening day boat parade followed, and then it was lines-in for day one’s fishing. 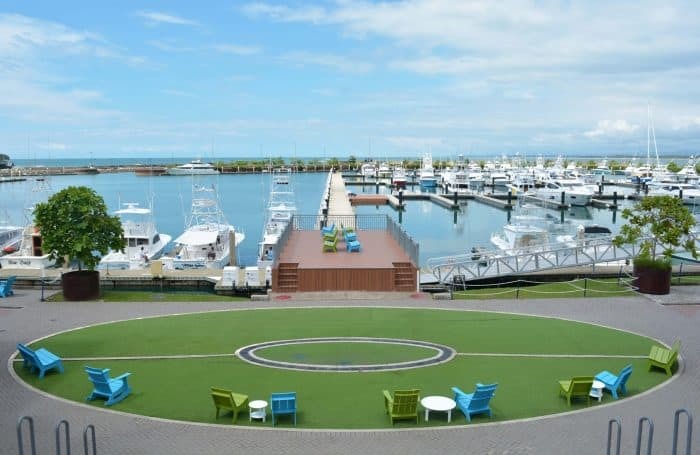 Following each day of fishing, competitors will unwind at daily dockside socials at Marina Pez Vela with complimentary Flor de Cana rum, local Costa Rican beer, food and live entertainment, while they check-in their release videos for scoring. The tournament is sponsored by the Costa Rican Tourism Institute (ICT) and Marina Pez Vela, along with Accurate, AFTCO, Costa del Mar, Down East Guide Service, Flor de Cana, Garmin, Geoffrey Smith Galleries, Guy Harvey, IWS Scales, King Sailfish Mounts, Lucas Oil, Marlin, Melton Tackle, Mississippi Gulf Coast Billfish Classic, Parador Resort and Spa, Penn, Salt Water Sportsman, Sport Fishing, Toyota Rent a Car, 2Costa Rica Real Estate, VanMark Jewelry and Yeti. The tournament will continue throughout the week, ending on April 21. The top teams, boats and anglers will be honored at the Awards Gala at Marina Pez Vela on Friday, April 22. Follow all the action live on the official online scorekeeper at offshoreworldchampionship.com. Bonnier Corporation is the parent company of the Offshore World Championship Tournament Series. Bonnier Corporation (www.bonniercorp.com) is one of the largest consumer publishing groups in the U.S. and is the leading media company serving passionate, highly engaged audiences, through magazines, events, digital media and leading-edge products. Bonnier Corp. is the U.S. division of the Bonnier Group (www.bonnier.com), an international media group active in television, newspapers, magazines, movies, books and digital media. As winter slowly creeps into spring, fishing teams from all across the globe ready their gear and mindset for one of the most highly anticipated tournaments of the season. The 17th Annual Offshore World Championship (OWC) tournament returns for the fourth time to the prolific waters of Quepos, Costa Rica, from April 17-22, 2016, in hopes of repeating the tremendous fishing its participants enjoyed over the past three events. Teams competing in 2014 and 2015 events experienced back-to-back record catches, releasing 5,575 billfish in just eight days of fishing — a truly incredible number. Will the bite return for the 17th OWC and make tournament history once again? This year, organizers expect more than 60 teams with anglers from 25 different countries to take part in this unique “earn-your-spot” format where each team must win in a qualifying event to receive an invitation. This means that the doubles, triples and quads of big, hungry Pacific sails, marlin and gamefish that come into the spread will run into some top-notch anglers that have come up through the ranks and fought their way to the top in fishing events at home. The teams also rotate from boat to boat each day to provide a level playing field for the international group of teams. 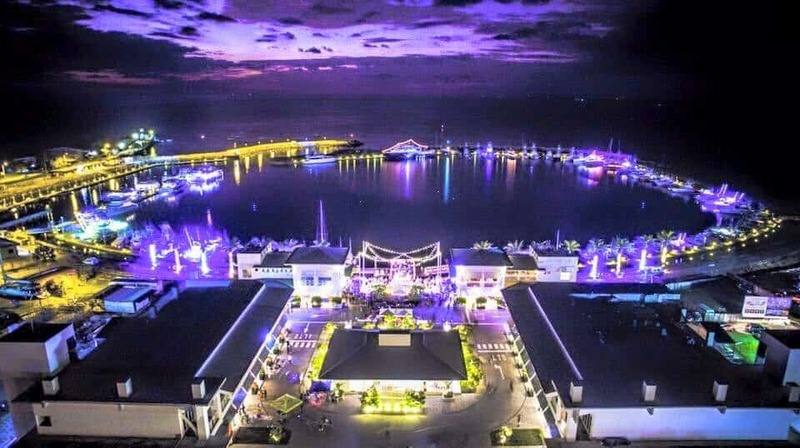 Quepos — long known as a sleepy fishing village that put Costa Rica sport fishing on the map in the early ’90s — came alive when Marina Pez Vela opened its first phase of docks and a fueling station in 2010. 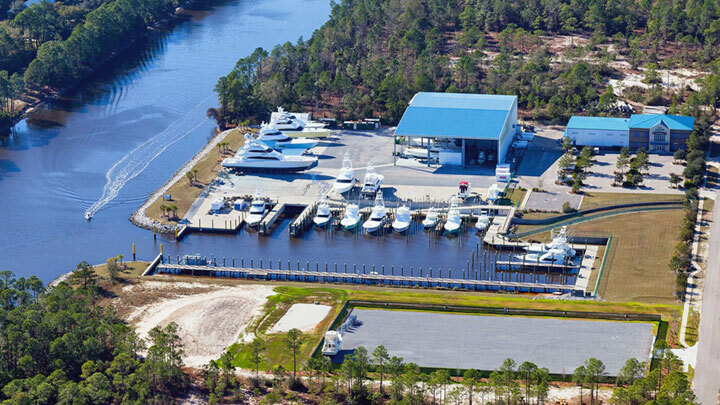 Now the thriving community and marina host world-class events that draw charter and private boats from all over the world. Marina Pez Vela is the perfect host marina for the OWC. 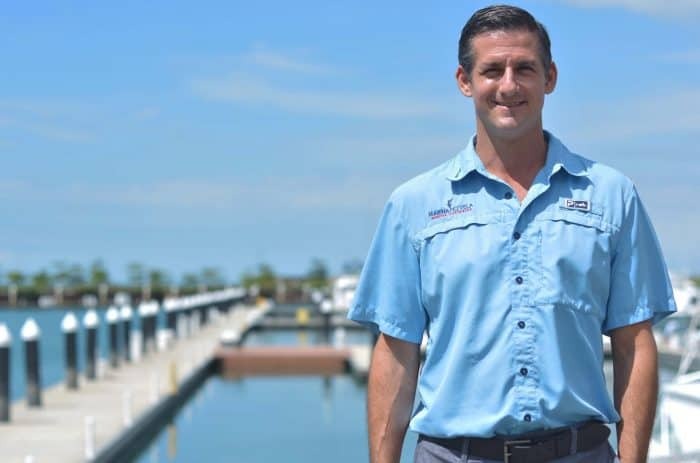 It continues to evolve, offering completed on-site condos, six of the region’s best dining options and a full-service Yacht Yard featuring Central America’s only 200-ton Marine Travelift. 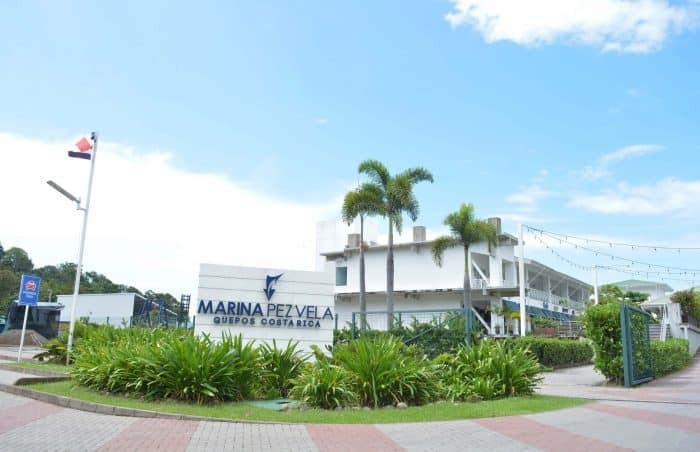 Marina Pez Vela recently announced slip expansions that will bring the marina to 200 slips. 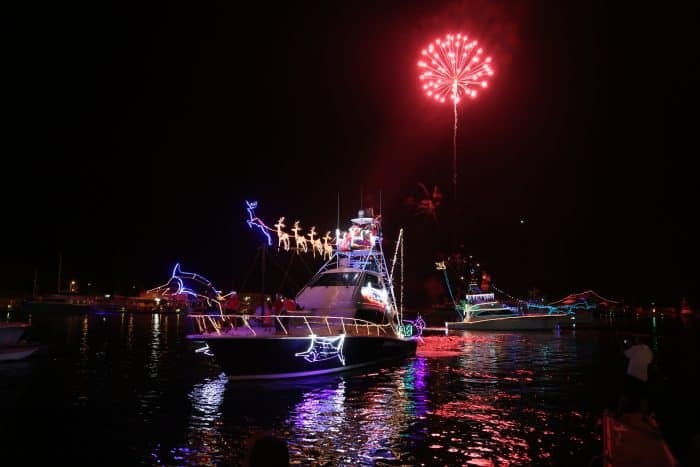 Anglers will enjoy the marina’s close proximity to the fishing grounds, dockside socials and gala awards banquet. Once again, the luxurious Parador Resort and Spa plays its part in the tournament, hosting the OWC from the edge of a pristine rainforest. The resort blends into nature like no other, and it has earned a number of prestigious awards for its passionate commitment to both the environment and the local community. Built high above the sweeping Pacific coastline on Punta Quepos, Costa Rica, the resort covers 12 acres of rainforest and encompasses several hiking trails. The resort’s beauty is matched only by the high quality of service provided to each and every guest. For more information on the Offshore World Championship, and to follow team scores during the tournament April 17-22, visit offshoreworldchampionship.com. 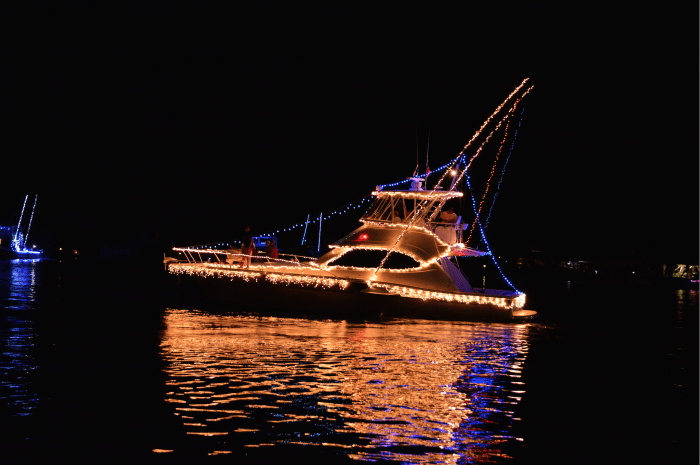 Sponsors for the Offshore World Championship include the Costa Rica Tourism Board, Marina Pez Vela, Lucas Marine Products, Costa Sunglasses, Geoffrey Smith Galleries, Garmin Electronics, Parador Resort, Flor de Cana, Mississippi Gulf Coast Billfish Classic, King Sailfish Mounts, Guy Harvey, Aftco, Van Mark Jewelers, Yeti, Penn, Accurate, Dragonfly Sportfishing, Melton International Tackle, 2CostaRica Real Estate, Toyota Rent a Car and Scale Master. Founded in 2000 by the International Game Fish Association, Offshore World Championship is a true angler/team tournament, and the only tournament in the world that requires the entire team to fish from different boats each day. Teams must qualify by winning one of the many quality Offshore World Championship-sanctioned tournaments to earn an application to fish the event. Costa Rica is located in Central America, nestled between Nicaragua to the north and Panama to the south; it is bordered on the east by the Caribbean Sea and the west by the Pacific Ocean. With an abundance of unique wildlife, landscapes and climates, this small country proudly shelters approximately five percent of the known biodiversity in the world. In order to protect and preserve its wealth of natural resources Costa Rica has become a global leader in sustainable practices with protected areas comprising 26 percent of its land mass. With a peaceful spirit, emphasis on education and an economy based on tourism, technology and exportation, Costa Ricans and visitors alike enjoy one of the highest standards of living and organized tourism infrastructure in Latin America, among a tropical paradise of lush rainforests, mystical volcanoes, and cloud forests and beaches that meet mountains filled with monkeys and macaws. Offering a broad terrain of activities and accommodations, visitors to Costa Rica will find a range of hotel options ranging from small beachside bed and breakfasts, to authentic intimate boutique mountain lodges, to major international business hotel brands and everything in between; Costa Rica’s accommodations offer something appealing for everyone’s desires. The phrase “Pura Vida” can be heard echoing throughout Costa Rica from coast to coast. Used as a greeting or expression of happiness, the phrase literally translates to “pure life,” however its true meaning is “full of life,” which accurately describes the adventure and wonder that await visitors. Established in 1955, the Costa Rica Tourism Board spearheads the vital task of regulating and promoting Costa Rica’s extensive tourism offerings. The ICT and its partners in the private sector work tirelessly to garner recognition, standardize practices, provide insightful research data and foster cultural development for the country’s coast-to-coast, one-of-a-kind tourism products and resources. QCOSTARICA – The Offshore World Championship is off to an amazing start at Marina Pez Vela, with some of the highest results in tournament history. Over 800 Sailfish were caught and released today off the waters of Quepos. 67 teams, comprised of 320 anglers from 27 countries around the globe are all competing for the World Champion Title this week in Quepos, Costa Rica. The first day winner was a team from Papua New Guinea, who caught and released 38 sailfish at the time of this writing.The team representing the Quepos Billfish Cup had 11 sailfish catch and releases and the lone tico angler, Alberto Laurencich, who is actually fishing for a team from Hawaii, caught and released 4 sailfish today. All catch and releases videos will be verified overnight by the Offshore World Championship Organizers. Three more days of competitive fishing are on tap as the tournament continues through Thursday, April 16th. This is the third year in a row that Costa Rica has been selected home of the Offshore World Championship, thanks to the lobbying efforts of ICT and Marina Pez Vela. Each year, the tournament brings over $2M of direct benefit to the community of Quepos and the tournament has been a catalyst for many of the infrastructure improvements taking place in the city of Quepos. The April 12-17 Offshore World Championship announced a partnership to advance billfish science. The project, which includes the Offshore World Championship, The Billfish Foundation, Marina Pez Vela, the Costa Rica Tourism Board and the Presidential Challenge of Central America, will call on tournament anglers and crews during this year’s event to collect data. Organizers said that because of the volume of sailfish found off Quepos, Costa Rica, during the last few seasons, coupled with many of the world’s best offshore anglers fishing the Offshore World Championship, the opportunity to tag a lot of billfish to collect data needed for improved conservation was a natural fit. The tagging project will provide 350 free tags to anglers pre-fishing the tournament so they can properly tag billfish and submit their tag reports to the staff of Marina Pez Vela. The Offshore World Championship and the marina staff will load the data into the Billfish Foundation’s website. If all tags are not deployed before the tournament, anglers may tag during the event, but no additional points will be added. Organizers said speed tagging can kill fish, so anglers tagging during the tournament should exercise extreme caution. Better not to tag than to injure the fish. The tagging contributions OWC anglers make will be helpful and will be showcased via the Billfish Foundation’s website and other social media, organizers said. Other project sponsors include Costa Sunglasses, King Sailfish Mounts and Bonnier Corp. Article published by Trade only Today. The Costa Rica News (TCRN) – Marina Pez Vela is hosting the single largest Super Bowl party on the Pacific coast. Marina Pez Vela, located in the heart of the port town of Quepos, will be airing the Super Bowl match up between the New England Patriots and the Seattle Seahawks outdoors and on the big screen. Their big screen television measures more than 30 feet in length and 15 feet in height. It will have a live English feed, complete with all the infamous commercials during the big game. There will be food specials at both restaurants, the Runaway Grill and Mercato del Porto, as well as booths selling chili dogs, popcorn, and other snacks. During the afternoon there are giveaways for kids and families, games and a magical sunset just behind their enormous screen right at kick off! Marina Pez Vela offers secure parking. They are expecting a turnout of about 1,000 people for the big game and a Super Bowl party unlike any other in all of Costa Rica. 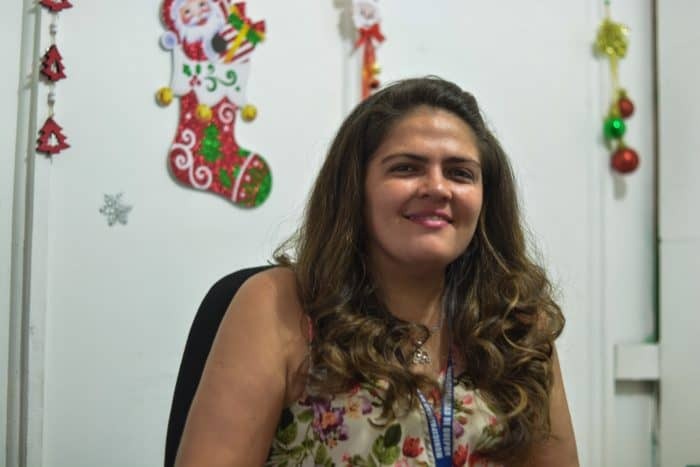 Article published by The Costa Rica News (TCRN).